Gitelis Law Offices serves clients in New York City, NY. 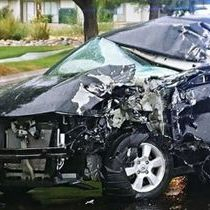 The severe damage caused by an auto accident can be devastating. Even at low speeds, a collision can easily result in broken bones, spinal injuries, internal bleeding, and even death. Whether you were the driver, passenger, or an unfortunate pedestrian you need an experienced lawyer to help you recover maximum damages. Let Gitelis Law Offices help you through this difficult time. Injured On Someones Property? Know Your Rights! Our team can help you learn more about your rights after an injury on someone's property, and how we can fight to secure the maximum compensation possible. Because taking swift action and contacting a lawyer as soon as possible after an accident is important, we encourage you to reach out to our team today! Construction Accident? Let Us Help. 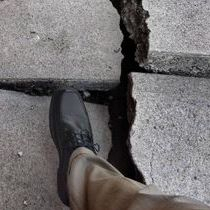 A construction site can be an extremely hazardous work place. Construction workers are challenged to be aware of their surroundings at all times. They need to watch out for falling objects, be aware of moving hazards, while getting the job done with excellence and precision. If you or a loved one has suffered a construction related injury, contact our team right away. If you’ve been injured at your place of work, you are protected by workers’ rights. 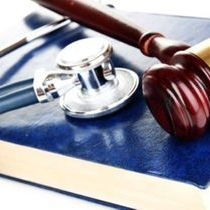 You may be qualified to receive financial compensation for your treatment, therapy, medical bills, lost wages and other loses. Our goal is to effectively represent you and your claim and we will not collect any fees unless you are compensated! Hurt In A Hospital Or Doctors Office? Know Your Rights! Often, your medical professional will do the best, most professional job they can. But what happens if they fail you? What if a medical professional is negligent and puts your life, or your family member’s life, at risk? Unfortunately, this is happening more and more. A recent study shows that medical errors are the third-leading cause of death in this country, only surpassed by heart disease and cancer. Call us to see how we can help! 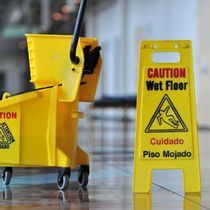 Slip & Fall law involves the legal responsibility of owners and occupiers of property for mishaps experienced by persons on the property and their resulting injuries. The liability of the potentially responsible individuals varies, depending on the rules and principles adopted in the jurisdiction where the mishap occurred. Gitelis Law Offices will quickly assess your case and let you know your rights. Bicycle Or Motorcycle Injury? Let Us Help You! Statistics show that bicycle accident victims who had proper representation received far higher settlements than those who did not. 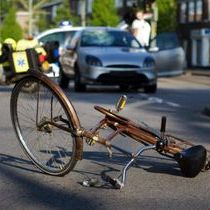 Don’t let your rights be run over; stand up for yourself as a victim and a cyclist by getting the justice you deserve. We will fight to get you the maximum settlement in your case. Bus Related Injury? Let Us Help You Get Compensated! 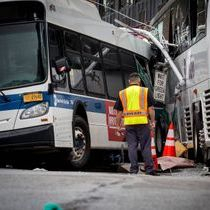 Each year thousands of victims sustain life altering injuries, and often death in bus related injuries. It takes a seasoned attorney to navigate the complicated laws of determining liability in these cases. Gitelis Law Offices has been assisting clients for 20+ years with receiving maximum compensation. Contact us today! 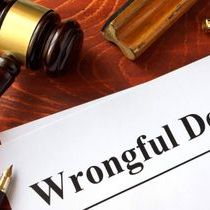 A wrongful death claim is a civil lawsuit that is brought by the close relatives of someone who was killed as a result of negligence or wrongdoing. The party responsible should not be able to escape legal action just because the victim is no longer alive! We have helped many close relatives claim compensation for wrongful death.